Adia, born Destiny “Adia” Andrews in St. Louis, Missouri spent her formative years surrounded by the strong supportive influences of her family; Father, Chester Andrews, an accomplished Gospel Songwriter and Producer, and Mother, Angela Andrews, Singer, Actress, and Play write. Through their guidance, faith, and love of music, it was inevitable that Adia would develop into the passionate Christ centered Artist she is today. At the tender age of 4, Adia sang her first solo in front of hundreds at the Church of the Living God Temple I. Filled with excitement and the anticipation of performing, while also giving Praise to God, she appeared before her audience singing “I Love You Lord Today”. This moving and memorable moment stirred a passion within her that can be seen everyday. In the late 1990’s Adia relocated with her family to Aurora Illinois where she began working on her craft under the guidance of the late brother, Eldred “Buster” Robinson. Realizing her abilities, Buster provided her with a platform by which she was able to mature and find a softer, more genuine place in her heart where she invoked a pure emotional connection with her audience. Since that time, Adia has aggressively pursued the advancement of her solo career. In February of 2012, she signed a Recording Contract with independent label, Emerged Records. In March Emerged officially released her first single entitled, “One Day at a Time”; which is dedicated to the victims of the 2011 Tornado Disasters. As her way of giving back to her community, all proceeds are being donated to United Way for Tornado Relief. In late March 2012, under the mentoring and production of Fredrick “Blaze” Crawford, Adia’s career continues to gather momentum, with her appearance on the soundtrack of Deitrick Haddon’s new movie “A Beautiful Soul’, where she is featured in a solo venture in addition to a duo with Joint Heirs. The “A Beautiful Soul” Soundtrack was released May 1, 2012, top the Billboard Charts at #10. Currently, Adia is in the studio working on her next project. 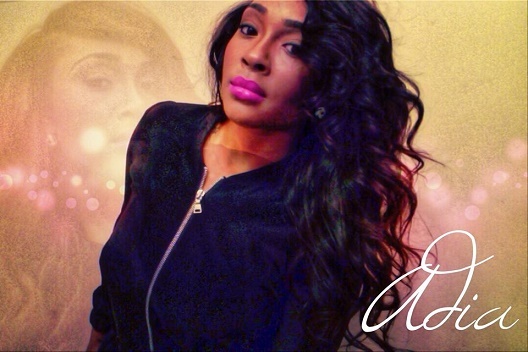 “Rags To Riches” is the new single from Xist Music/Malaco Records songstress, ADIA. Produced by Fred “Blaze” Crawford, the beat plays double dutch with atmospheric nothingness and electro trap interjections. ADIA’s upcoming album is due this summer.